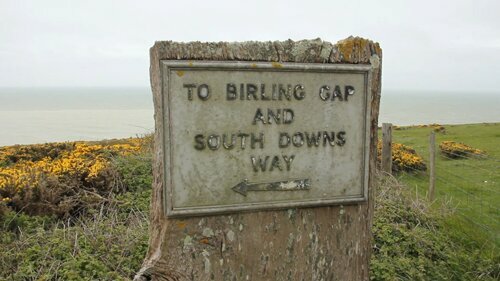 In spring 2013 Nathan Burr and Louis Buckley walked the length of the South Downs Way, starting in Winchester and ending at Beachy Head. 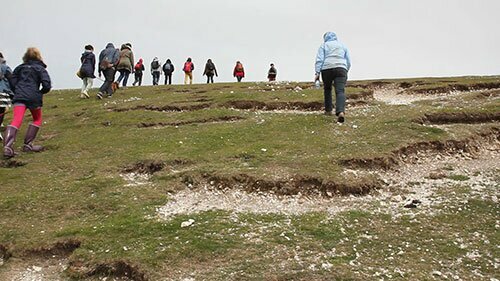 Along the way they walked and talked with everyone from farmers and psychologists to therapists and writers to explore the connections between suicide, mental health, myth and landscape. This film documents the chain of conversations that took place over their nine-day journey. Louis Buckley creates live events, talks and participatory activities. 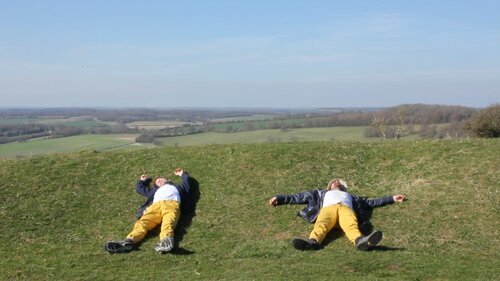 He grew up in the shadow of the South Downs and has a longstanding interest in the intersection between biology and art, and changing ideas about nature and the countryside. Nathan Burr is a Brighton-based artist and designer. Nathan aimlessly wanders into spaces of conjuncture to design new rituals that re-imagine human narratives contained within past, present and future landscapes. Food and drinks as usual.